One of Surya earliest critically acclaimed films, Nandha will soon be released in Telugu. Bala had directed this Tamil film back in 2001. 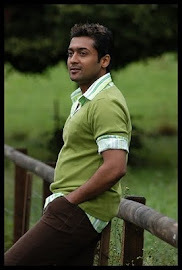 Although it was an average grosser at box office, the film propelled Surya's career to greater heights in Tamil cinema. He even won the Tamil Nandu state film award for his acting in the film. The film is about a young man who tries to find a place in the society after he's released from jail for a heinous crime he had committed in his childhood. Now, the film is being dubbed as Bala-Surya in Telugu. Nagamalla Shankar is producing this dubbed version on Sri Shivashankara Art Productions banner. Yuvan Shankar Raja had composed the music. The film is in post-production stage and will be released in the third week of July. Aditya Music will release the audio sometime later this month or early next month.